BREAKING NEWS! - A NEW FIVE YEAR CONTRACT!! As expected on his arrival at Stamford Bridge from a three year absence in Spain, Thibaut Courtois has today signed a new five-year contract with Chelsea. I say as expected because as we know he only had two years left on his current deal. 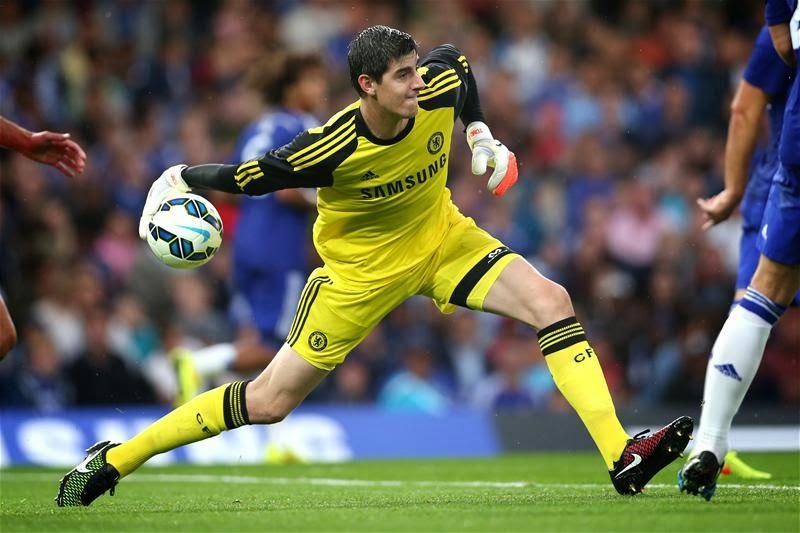 Regular readers of this blog will know my opinion of what has happened this season, in that with Courtois having just two years left on his current deal, there was only one solution - to bring him to Chelsea as leaving him in Spain for another year would have put us in a difficult situation. "I’m very happy with this new deal, it’s really nice to have signed this new contract for five years. My future was already sorted but it’s nice to know I’m going to be here for another five years and now I can just concentrate on playing games." He has made an impressive start to his Chelsea career with a notable save being made in each of his three starts so far. Let's hope his form continues for this season and beyond.